Lee started his career in the City 25 years ago as an options pit trader on the International Petroleum Exchange. 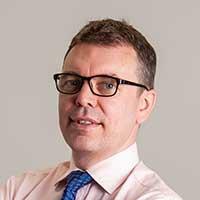 After time spent as an investment manager at HSBC and three years at Investors Chronicle, he has been editor and head of equity strategy at interactive investor since 2014. Lee is regularly quoted in the financial press and runs ii's award-winning newsletter. Miton: Is 30% share price upside realistic? Marshalls shares race to record high: What now? Vodafone worth double, but will it ever get there?